The Dark Zombie costume includes shirt, gauze overshirt, and pants. One size fits most up to 6'/200 lbs. 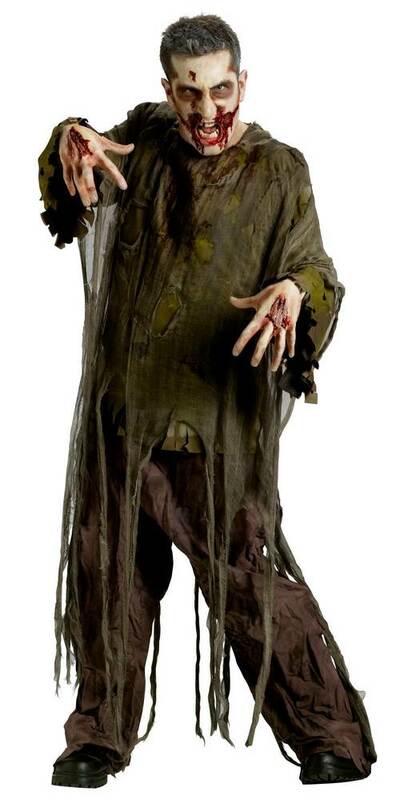 I myself won't wear this but costume, but it's excellent clothing for my Cemetery Scene Zombie. If I was going to be a Zombie this would still be really ghouly to wear.